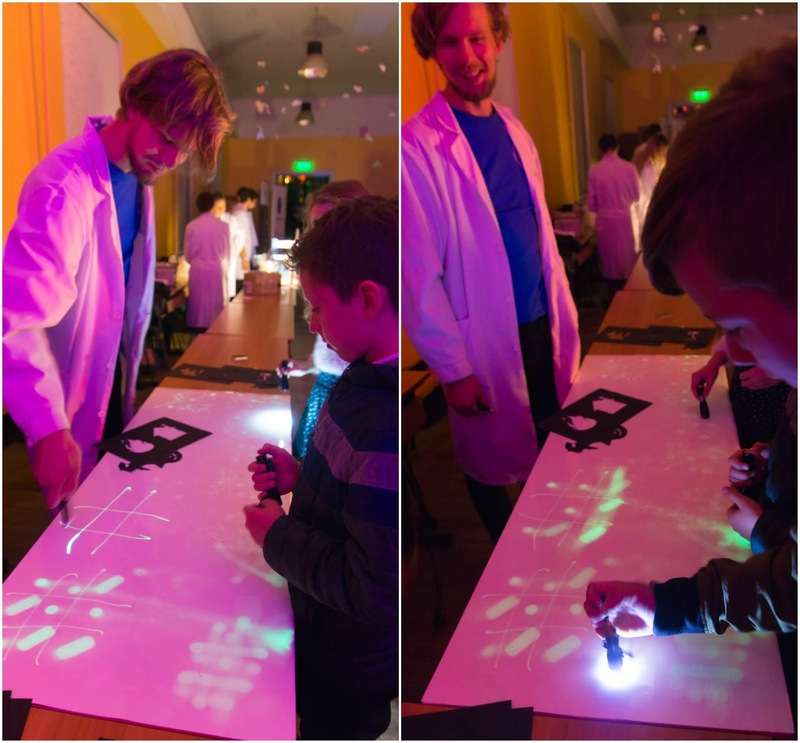 The European Researchers’ Night is a science outreach event that is annually held in around 300 cities around Europe on the last Friday of September. In Latvia, numerous students, children and adults come to universities, scientific institutes and laboratories to have face-to-face chats with current researchers, enjoy live experiments and spend a lovely evening in a scientific atmosphere. For scientists it is a wonderful opportunity to show the beauty and importance of their work, as well as inspire others to get involved. Take a look how the UL SPIE chapter members shared their passion for optics and photonics with others this year! In the Institute of Atomic Physics and Spectroscopy, Ilze Osina presented the concept of thermal imaging. 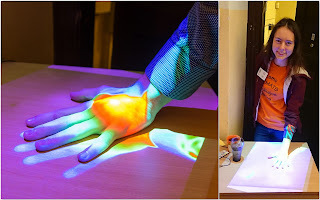 The heat of hands was registered and the resulting thermal images were projected on the table. In Riga, it became a little bit chilly in the end of September, thus, it could be easily seen among visitors whose hands were cold after a walk to the institute. In addition, Ilze described the nature of white light and demonstrated an experiment using three light emitting diodes of different colors. Inga Brice invited everyone to experience the magic of microscopic world. 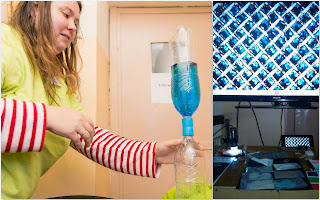 She demonstrated how everyday life things looked like when using a high magnification. Both children and adults were amazed to see the microscopic structure of salt, sugar, stones, paper, apples and pixels in the mobile phones. Moreover, they could use a USB optical microscope to check not only the prepared samples, but also the objects they brought with them. At the University of Latvia, Arturs Bundulis demonstrated an experiment related to luminescence and its practical applications. Firstly, Arturs told about the novel composite materials produced in Latvia. Each of the materials exhibited different luminescence emission spectra that was showed while illuminating materials with a UV lamp. Secondly, the visitors used the opportunity to test large size luminescence plastic films and see how long and intensively they were shining after being illuminated by various light sources (a UV laser, a UV lamp and a flashlight). It was great to meet so many children and adults interested in science. Keep being curious!